Nike's Flyknit technology has spawned countless copycats, some of them more obvious than others. 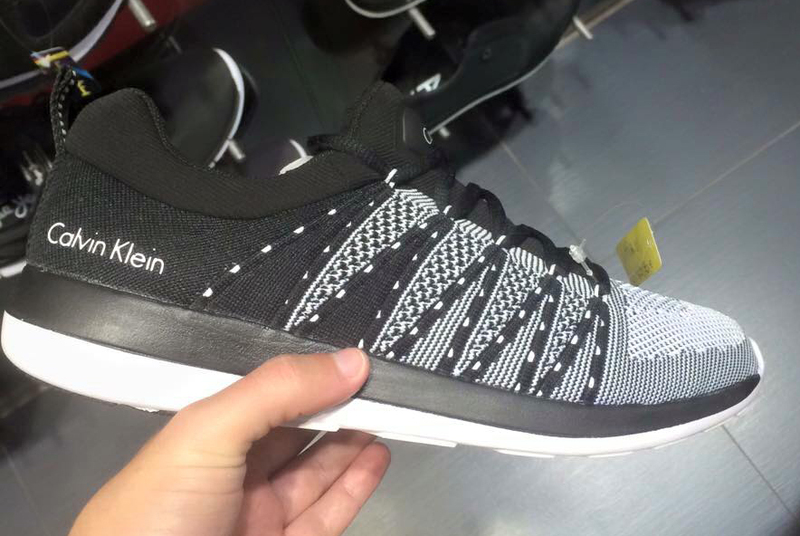 It's possible that none are more obvious than this, an apparent Calvin Klein sneaker design. The shoe, which surfaced on Reddit today, has what appears to be a knit upper with a build pretty much ripped directly from either the Nike Free Flyknit NSW or Flyknit Trainer. To be fair, Calvin Klein actually went through the trouble of removing the Swoosh and replacing it with their own logo. It's possible that this is some unauthorized design bearing Calvin Klein's logo – the shoe doesn't show up anywhere on the brand's website. Either way, someone needs to be held responsible for this.